Splitting a bill two or three ways at the Fringe is something of a rite of passage for developing comedians. It’s ideal for those who’ve earned some traction but don’t yet have the profile (or material) for a solo hour. That said, Fern Brady’s profile is evidently on the rise as she was away taping for BBC3 on my first attempt to see the show. Along with other appearances on 8 Out Of 10 Cats and Stewart Lee’s Alternative Comedy Experience, that’s useful traction indeed. Fern kicked off proceedings and quickly established her on stage persona: aggressively Scottish, in-your-face, serially sweary and sexually slutty. Her tales of alcohol abuse and sexual shenanigans went down especially well with Fern’s fellow twenty-something female demographic in the audience. A short audience participation diversion yielded little and Fern quickly returned to the script when it became apparent that laughter was at a premium. It happens that way sometimes: otherwise, Fern had a good connection with the audience and there were laughs along the way. The Daily Mail and the so-called benefit culture were other targets in Fern’s acerbic sights. Not for her the mindless rants beloved of comedians. It was clever and well observed: she knows what she’s talking about too having worked as a journalist and with the disadvantaged. Fern’s obvious anger and social conscience felt at odds with her initial stage persona. She’s still as funny, but it made for a more rounded and interesting character, as well as hinting at an area for further development. I’d like to have seen more of her in this mode. It’s no easy task following as big a personality as Fern on stage. While Peter Brush couldn’t compete on those grounds anyway, he’s got plenty going for him in his own right. He’s made his own waves. A finalist in last year’s BBC Radio New Comedy Award, it marked him out as one of most promising young comedians in the country. Something of an introvert on stage, Peter appears hesitant and diffident at first, but stick with it because he’s got some lovely set ups and devastatingly funny punchlines. It’s all done in a Woody Allen-esque rambling conversation with the audience, and sometimes with himself, although, understandably, as yet without the same gag count. It was a pleasure to sit back, make the connection to where Peter is heading and wait for him to deliver his next gem. While there was some variability in quality, his best lines mark him out a gifted writer. Once used to his style, he grew on the audience and the laughs flowed. Peter’s ramblings took him off at tangents at times as he tried new material and ad-libbed. It proved he’s quick on his feet, he’s got more good material and is just as funny without a script. A contrasting bill of two distinctive and developing talents. 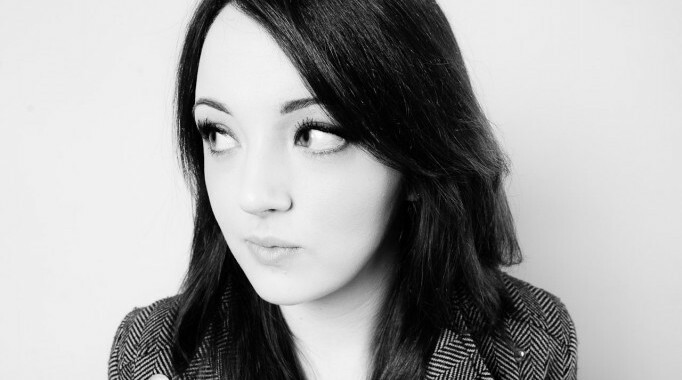 You’ll be seeing and hearing more of Fern Brady and Peter Brush.